I am not good enough at reading classic books or watching classic movies. This time I've done both! And I am turning it into a new series here. Netflix is the main source for TV entertainment in our home since we don't have cable, and here the other day we were looking through some movie options and my husband realized I have never seen A Room with a View. I said yes to watch as soon as I saw that both Helena Bonham Carter and Maggie Smith are playing in it. It is interesting to see the two of them playing their characters in this movie when I associate them with their roles in the Harry Potter movies. 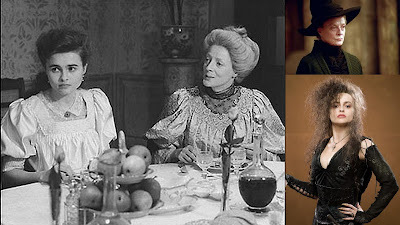 It also did not hurt that Daniel Day-Lewis and Dame Judi Dench star in the movie as well. Helena Bonham Carter has really become more eccentric through the years. Watching this movie which follows so closely the structure of the book it is based on, made me want to read the book as well. And voilà! - I had the idea for a new series where I read a book and watch the movie based on it do kind of a comparative review. 1) Is the mood of the book translated into the movie? 2) Do the characters have the same motivation in both the book and the movie? 3) Is the movie just as easy to understand without having read the book first? 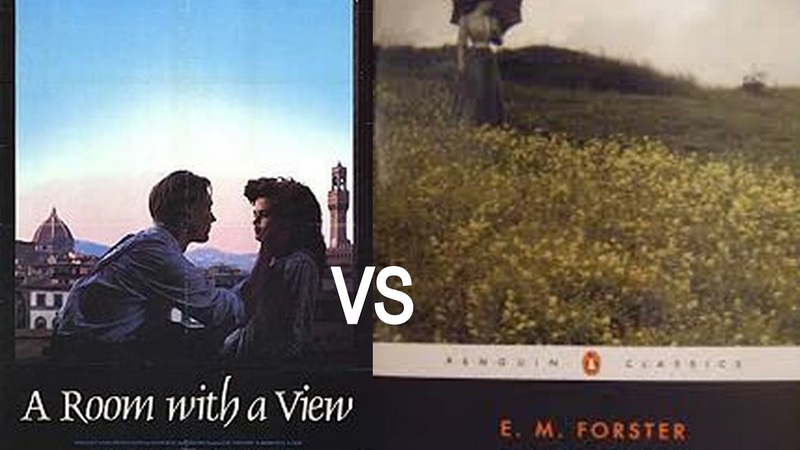 The first book-movie comparison I am doing, is of course A Room with a View. It will come online here tomorrow. Others I have on my list are Breakfast at Tiffany's, The Great Gatsby and Dangerous Liaisons. If any of you have suggestions on books I should read and compare with the movie version, don't hesitate to leave a comment about it. I am open for new, interesting reads and movies to watch! Oh. I am going to like this series! I love books and movies and books that have been turned into movies and comparing them! What are you going to do if there are multiple movies for a book? According to Wikipedia there are 5 adaptions of the Great Gatsby! I am reading Dangerous Liaisons at the moment and there was an adaption of the book in 1988 and Cruel Intentions from 1999 was also based on the book. In this case I'll say something about both movies. In the case of Gatsby I think I will have a look at the newest and maybe the one from 1974 with Robert Redford and Mia Farrow.